Died: 3rd July 1916; age: 27; KiA. First Enlistment: Date: 29th July 1907; age: 18 years & 4 months; Occupation: Messenger; Religion: Roman Catholic. Height: 5ft 3 1/2ins, dark complexion, blue eyes & brown hair. Mole near navel & left buttock. large scar front thigh and inside right upper arm. Tattoo – Dagger right forearm. Joined Pontefract – 31st July 1907. 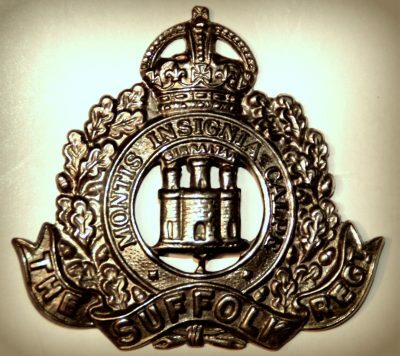 Private – York & Lancaster Regiment, service number 8811. Appointed unpaid Lance Corporal – 20th May 1908. Appointed paid Lance Corporal – 1st October 1908. Reverted Private for misconduct – 18th August 1909. Awarded 14 days detention by his C.O. – 30th June 1910. Awarded 28 days detention by his C.O. – 2nd November 1911. Awarded 21 days detention by his C.O. – 4th May 1912. Awarded 14 days detention by his C.O. – 28th May 1912. Discharged for misconduct 11th June 1912. Served 4 years & 319 days. Rank: Private; Service Number: 9029. 1891 Raylan Barracks (married quarters), Stoke Damerel, Devon. Sarah McNamee (nee Larkin), 24, born Athlone, Ireland. Peter McNamee, 4, born Kilkenny, Ireland. Rose McNamee, 3, born Kilkenny. John Joseph McNamee, 6 months, born Devon, Devonshire. 1901 Latimer Cottage, Freston, Suffolk. Peter, 39, an Agent – Prudential Insurance Co.
Oscar McNamee, 8, born Derby, Derbyshire. Michael McNamee, 6, born Colchester, Essex. Stanislaus Sebastian McNamee, 4, born Colchester. Mary Margaret McNamee, 3, born West Bergholt, Essex. William Henry McNamee, 1, born Ipswich. Francis Joseph McNamee, 6 months, born Holbrook, Suffolk. 1911 Dottingen Barracks, Blackdown, Farnborough, Hampshire. George was 22 years old, a Soldier ranked Private, for the 2nd Battalion of the York and Lancaster Regiment.